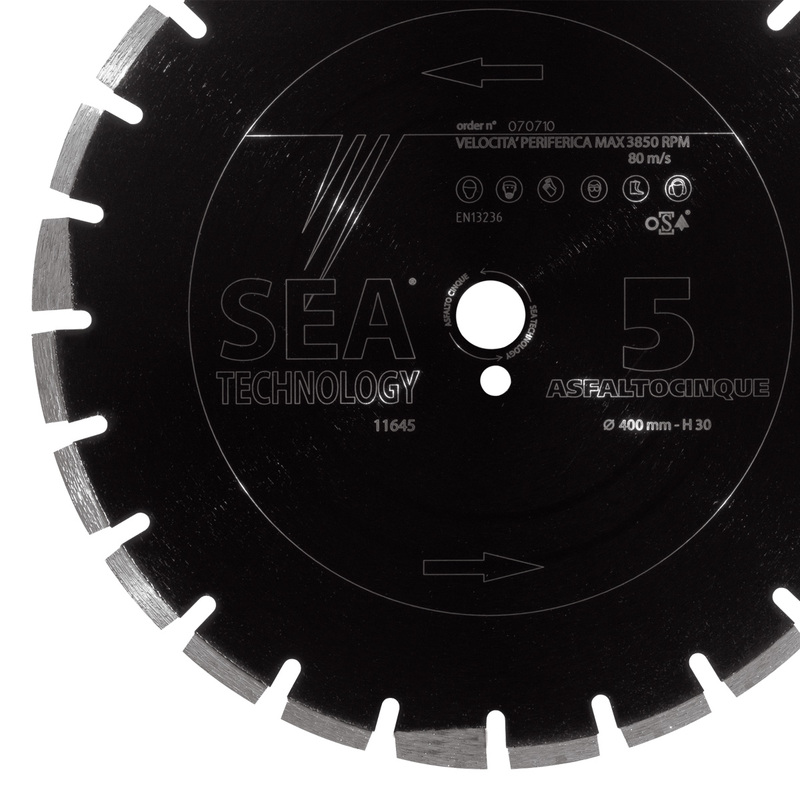 ASFALTO CINQUE is the diamond blade from the range for use on machines with power over 13 HP, ideal on machines with power over 20 HP. The protection of the steel body of the blade, which is known as the weakest point of the blade for asphalt, is made with oversized trapezoid segments. The difference among the three kinds of protection: trapezoid, tilted or racker is not only a matter of quality but also needed to give a strong characterization to the tool to make them quickly and easily recognizable when the blades are already used.